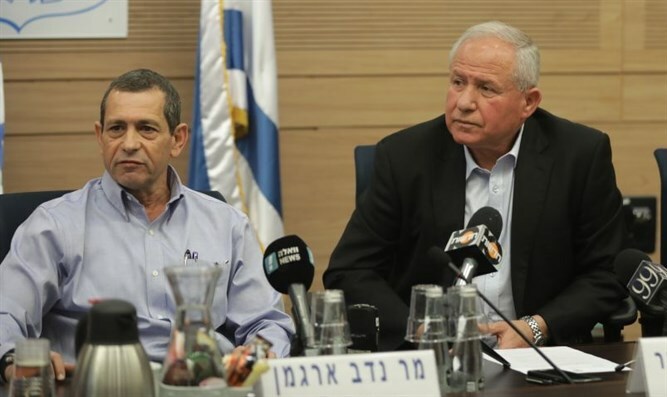 Nadav Argaman, chief of the Shin Bet internal security services, warned a Knesset committee Monday morning that Israel would likely face a surge in attempts to carry out terror attacks during the upcoming Passover holiday. Speaking before the Knesset’s Foreign Affairs and Security Committee, Argaman said Israel was facing a geo-strategic sea change in the region, influenced heavily by the 2015 Iran nuclear deal and the release of billions of dollars from the US to the regime in Tehran. Turning to Israel, Argaman said that despite the apparent relative quiet, security forces were confronting regular attempts by terrorists to harm Israelis, and were gearing up for an expected uptick in terrorism during the Passover holiday. “Over the past year we experienced a wave of terrorism, from October 2015 through the first quarter of 2016 – a lone wolf terrorism we learned how to deal with. As a result of changes we made and technological developments and intelligence operations we succeeded in dealing with it and stopping [the terror wave]. We prevented more than 400 potential terror attacks before they were carried out. “But the quiet that we’re now experiencing – the relative quiet – is deceptive, a false quiet. Hamas and Islamic Jihad terror infrastructures worldwide are working every day to commit terror attacks inside of Israel. We’re working night and day to prevent these attacks. Over the past year 16 Israelis and one foreign citizen were murdered in terror attacks inside the State of Israel.